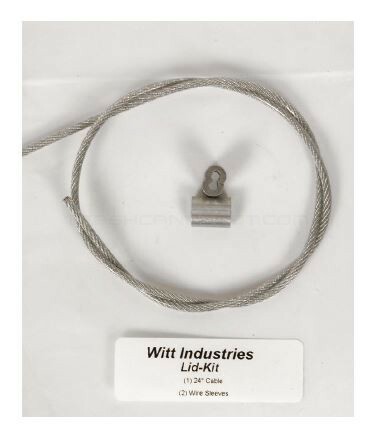 Lid cable attachment kit for Witt Industries outdoor receptacles. 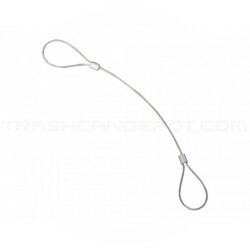 Loop the cable through hole in lid and then through can. 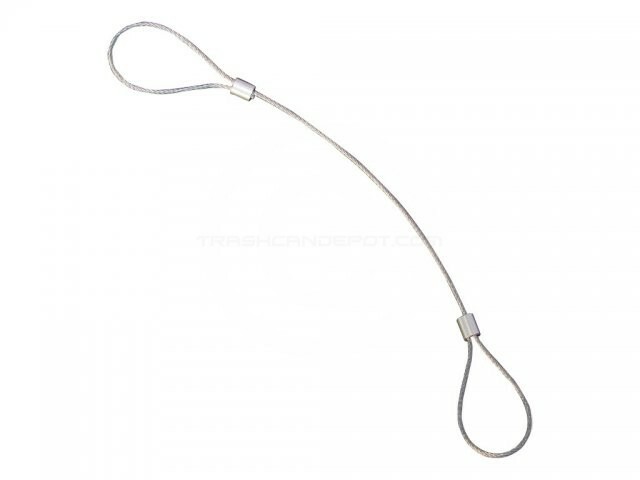 Thread ends of the cable through the holes in the ferrule and crimp using pliers or crimping tool.